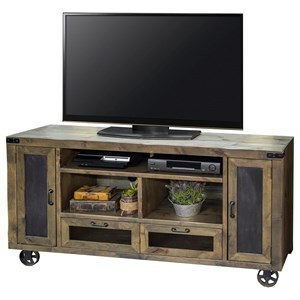 Crafted from premium select knotty Alder solids and veneers, this entertainment console showcases exceptional storage features. Sitting on a bottom wheel design, the console presents ten shelf areas, six doors and two bottom drawers to meet all your storage needs. 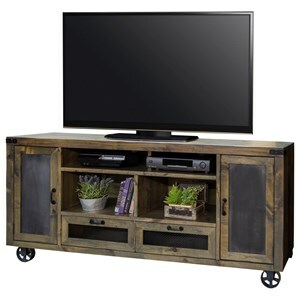 Completed with antique bronze hardware and your choice of two distressed finish options, this American made console will transform your living room space. 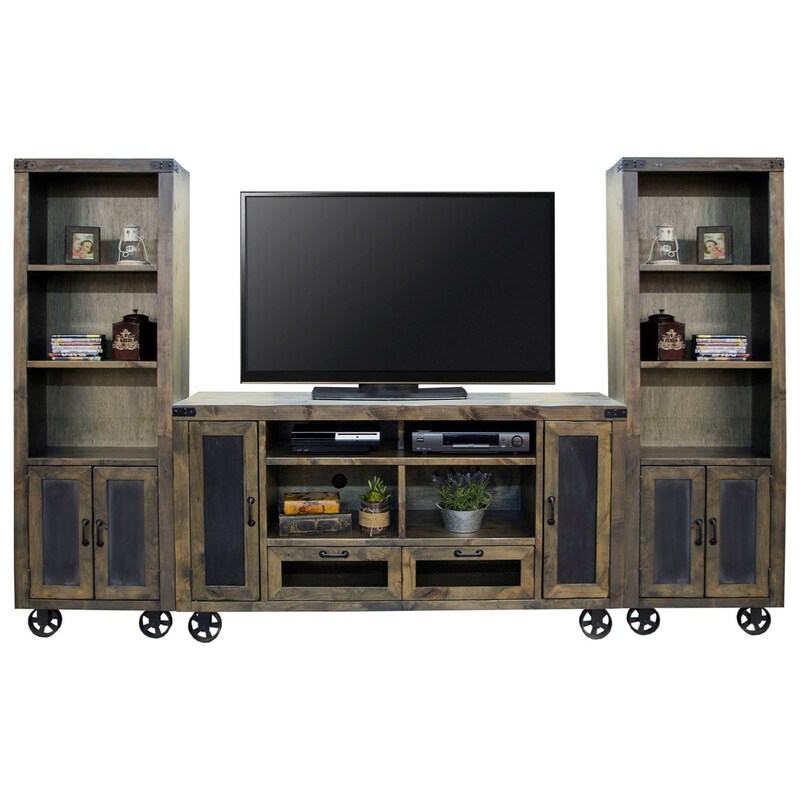 The Cargo Entertainment Wall Console with Bottom Wheel Design by Legends Furniture at VanDrie Home Furnishings in the Cadillac, Traverse City, Big Rapids, Houghton Lake and Northern Michigan area. Product availability may vary. Contact us for the most current availability on this product. Handles & Hardware Antique Bronze Hardware. Storage Four shelf areas, two bottom drawers and two side doors. Presents accommodating design and elegant style, these furnishings will transform your home living room space. 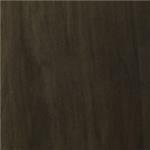 Crafted from premium select knotty Alder solids and veneers, the pieces feature shelves, drawers and doors that culminate in an extended array of storage options. 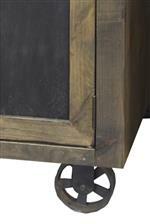 The elegant style is only enhanced by the antique bronze hardware and bottom wheel design. Completed with your choice of a Bourbon or Rustic White finish, these distressed pieces present transitional style highlights for your home. 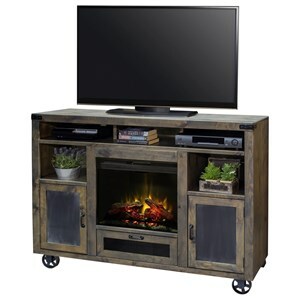 The Cargo collection is a great option if you are looking for Rustic Transitional furniture in the Cadillac, Traverse City, Big Rapids, Houghton Lake and Northern Michigan area. 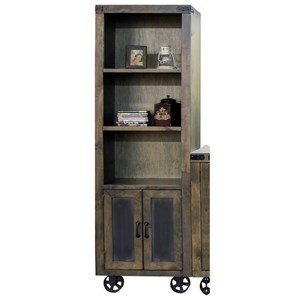 Browse other items in the Cargo collection from VanDrie Home Furnishings in the Cadillac, Traverse City, Big Rapids, Houghton Lake and Northern Michigan area.